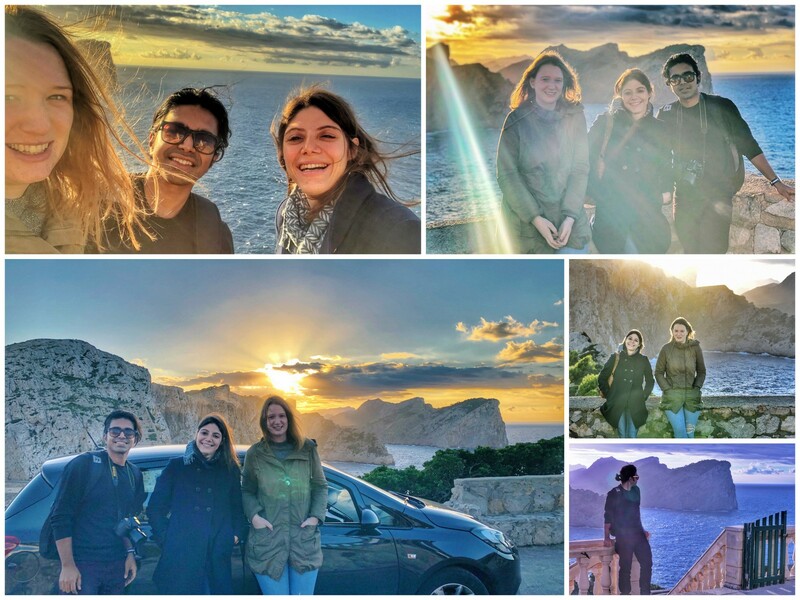 Working-In from Palma with Life at trivago.. exploring more than Mallorcan beaches on holidays.. gastronomy with love for Tapas.. being on photography-spree.. and amazing long drives with Jessica & Annachiara Foschi.. a week of Mediterranean vibes at Mallorca had it all! trivago is a company well-known for it’s creative office culture. And no wonder apart from the HQ at Düsseldorf, it has it’s other office in Leipzig in Germany (Read: Christmas Market), Palma De Mallorca in Spain (Read: Marvellous Beaches) and Amsterdam in Netherlands (Read: Art heritage and parties)! 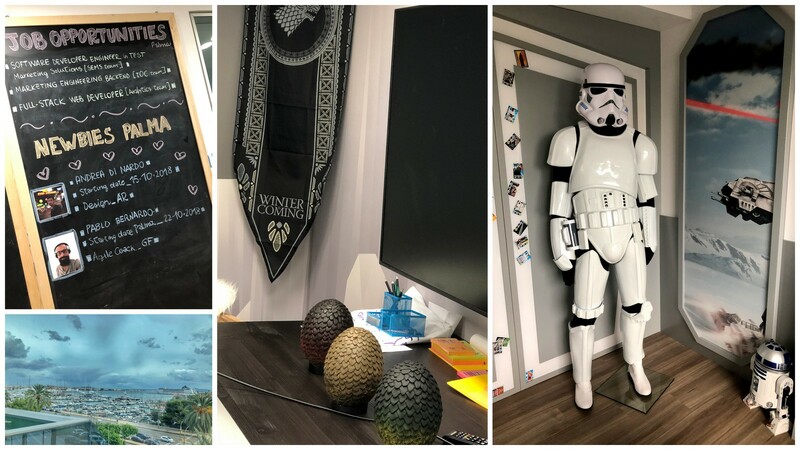 And it’s a common practice for employees to do Working In from another office for a couple of weeks with the concept that lies in meeting new people at work, strengthening trust and collaborations and of-course learning more about experiencing location specific culture! 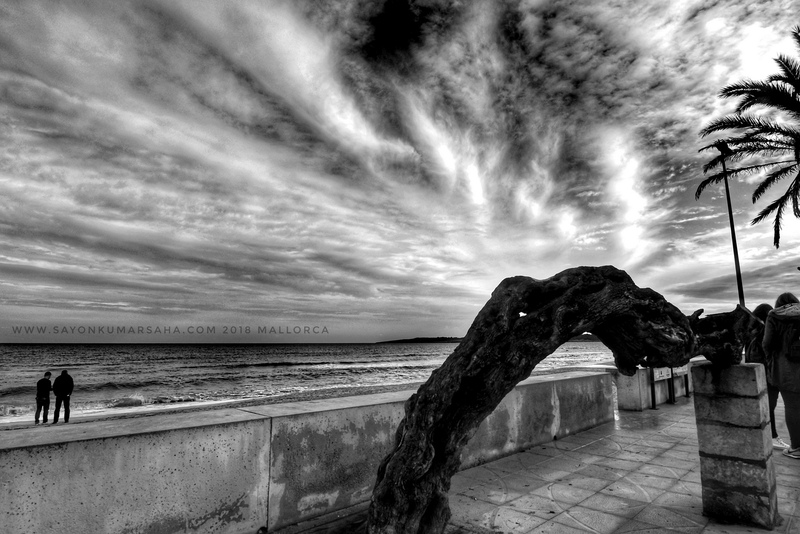 Being a photography enthusiast, Mallorca is always a paradise. 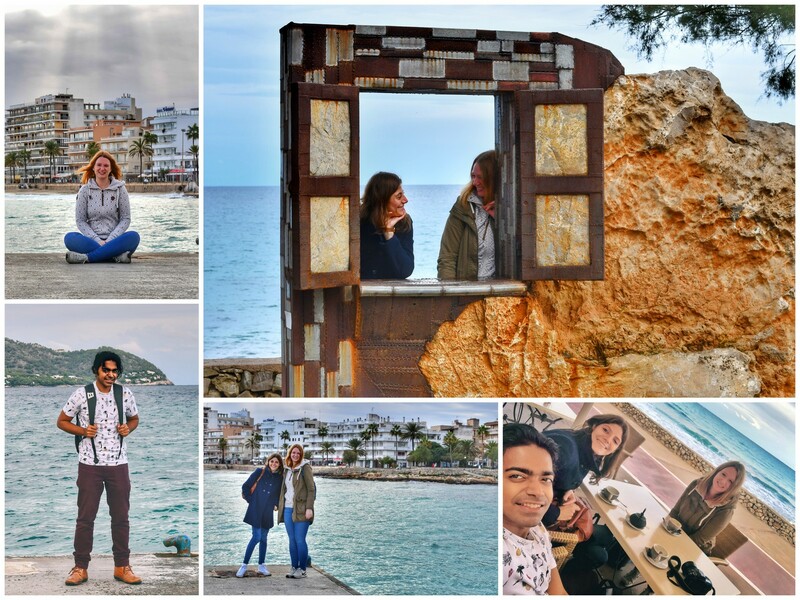 It was not the best time of the year for Working In Palma and relax by the beaches after work, but for sure good enough to travel around and explore the island in the weekends. I was here for 8 days last week working remotely with Annachiara and Jessica. 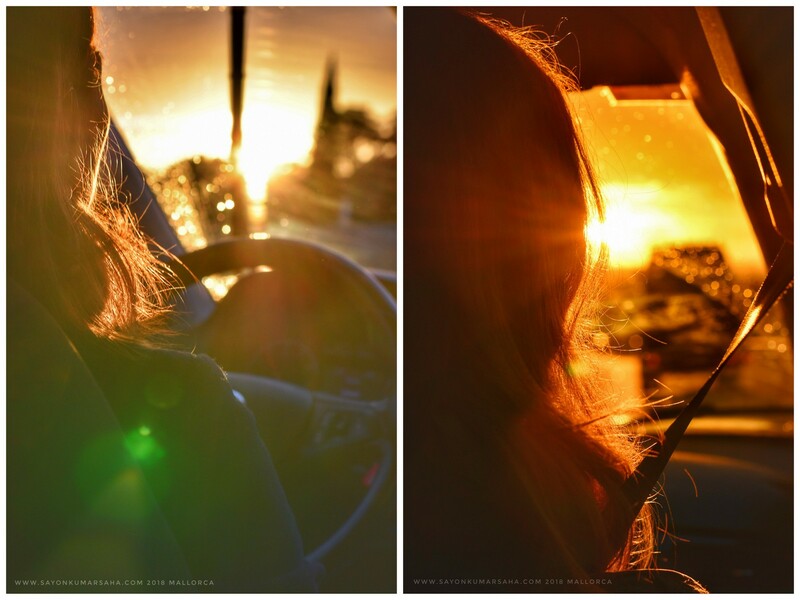 Beyond work, we had some amazing road trips on Thursday (lucky to have a public holiday) and the weekend! Preparations for Halloween celebration Palma the at office on a rainy Wednesday! 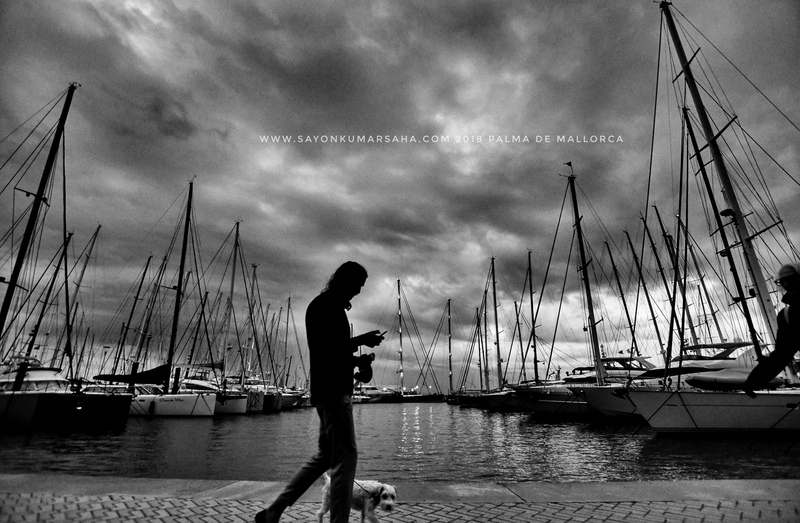 Right when you walk out of the office, is the beautiful harbour of Palma de Mallorca. I took a long walk that Tuesday evening after work, embracing the cloudy ambience by the dock! 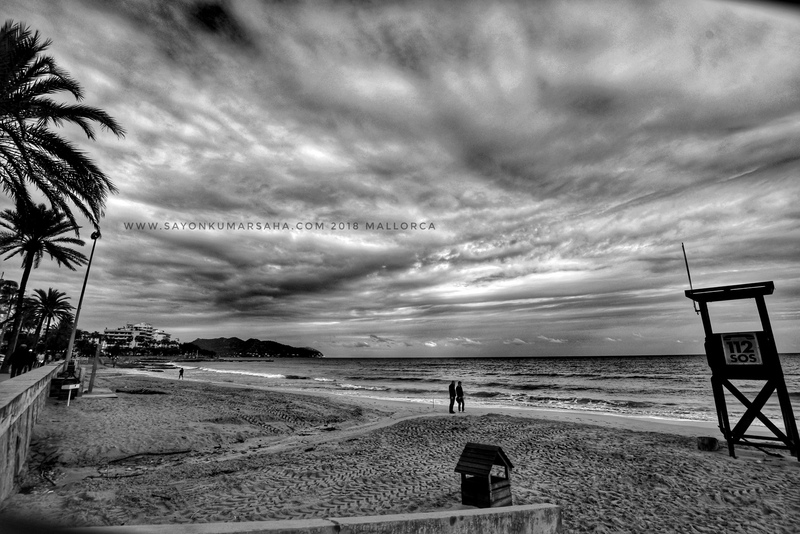 🇪🇸 Monochrome stories by the sea! 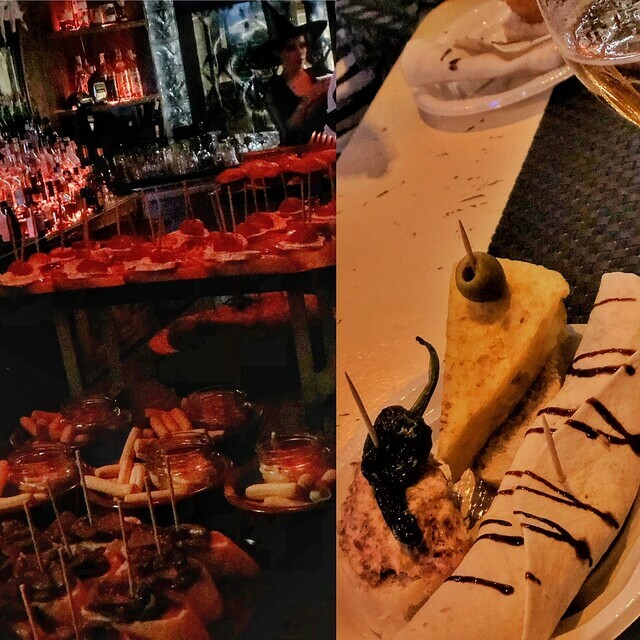 Palma is the paradise of Tapas. Tapas is simply the win-zip version of Spanish cuisine. A Tapa is basically an appetiser or snack which are small portion of any kind of Spanish cuisine. They could be both warm and cold depending on the variety of food. And Tapas can definitely be combined to make a full meal especially for tourists. The most wonderful thing about dining on Tapas is that one can try out lots of different flavours from different restaurants. I highly recommend the Bar La Ruta at the city centre. We were here on the eve before Halloween. Take Care that Bar La Ruta is a chain of bars, so very easy to be lost if you are meeting your friends there! The Sa Ronda is another Tapas place I could recommend! Also of-course don’t forget to try the local Sangria which is basically Spanish red wine with chopped fruits. I personally love it. We booked a car for freakishly cheap price (By cheap I mean 17€ for 5 days with insurance and without fuel). Yes it was not a scam and we had a nice drive throughout. So I would recommend to pick up a car from the airport the very day you arrive from ClickRent. We were out to explore the island on the holiday of All Saints’ Day on Thursday. 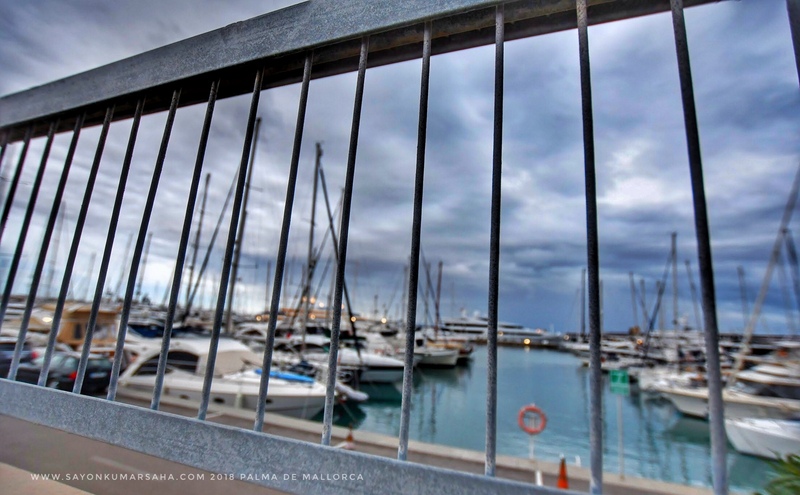 We drove to the other side of the island to Cala Millor from Palma De Mallorca. 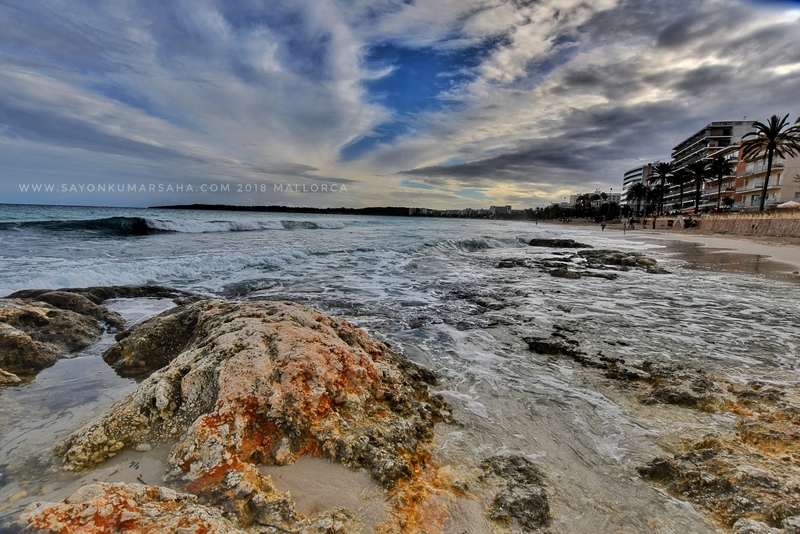 The urban and rocky sand-beach here is simply beautiful. 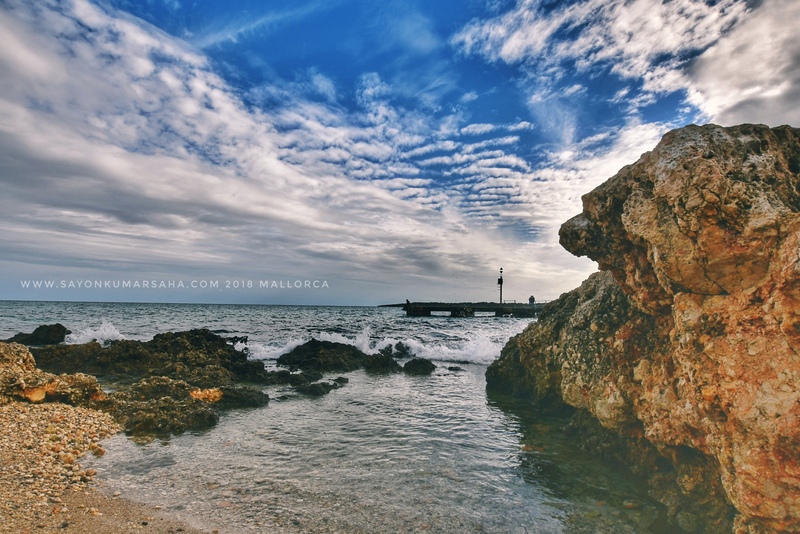 Cala Millor on the east coast of Mallorca is a beach side perfect for family holiday. Showers, sun-beds, lifeguards, bars and every water-sport imaginable with safe and shallow water makes it a perfect beach holiday for family. 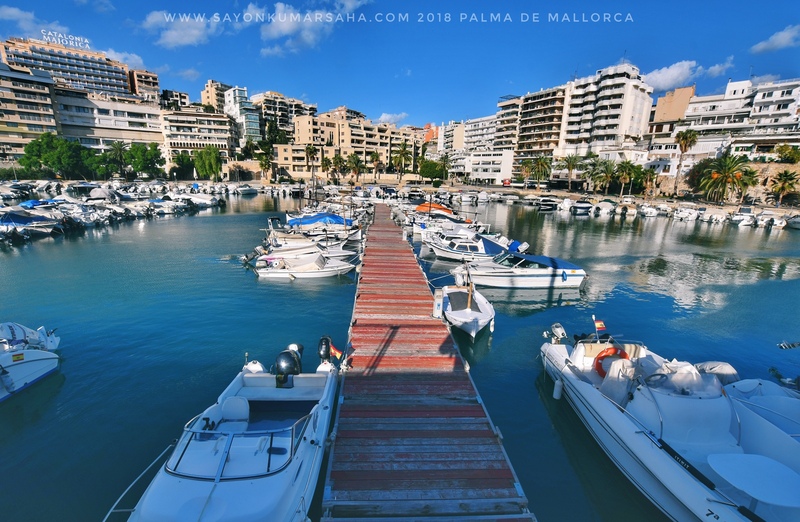 The word Cala Millor apparently means ‘better bay’. It is lined up with the famous blue flag beach which is almost 2km. 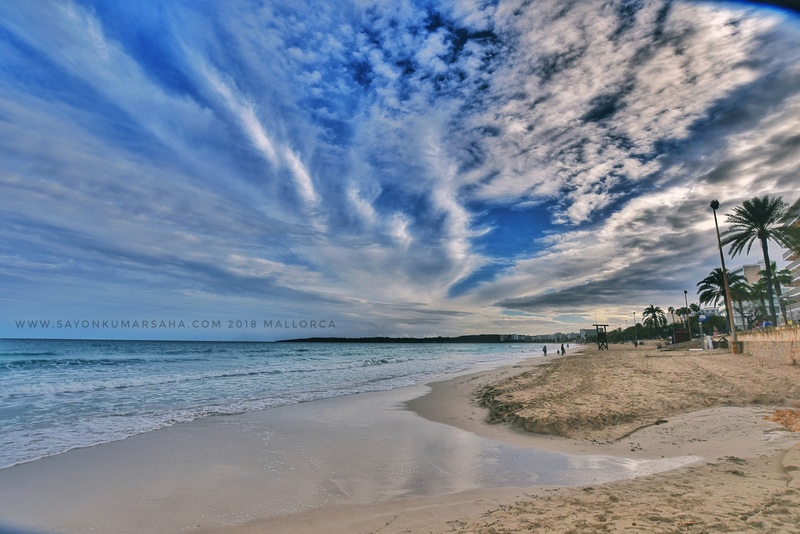 Long stretches of white sand and clear turquoise waters makes the coast of east Mallorca an attraction in itself. 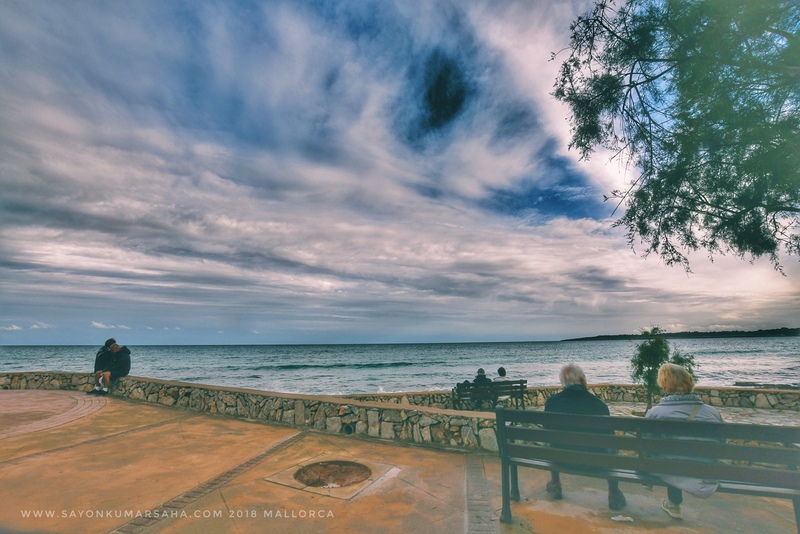 Before the tourist attraction hit the area in the mid 60s, Cala Millor was a long beach of fine sand with crystalline waters with tiny houses, sand dunes and the typical scrub vegetation of pine and wild olive trees which formed the typical fauna of the eastern coasts of Mallorca. Now its less on fauna and more with shopping streets, but still amazing to sepnd a day with your family! We also spent the afternoon at the amazing Mallorcan cave near Porto Cristo called the ‘Coves des Hams’. I have a separate blog on it here! 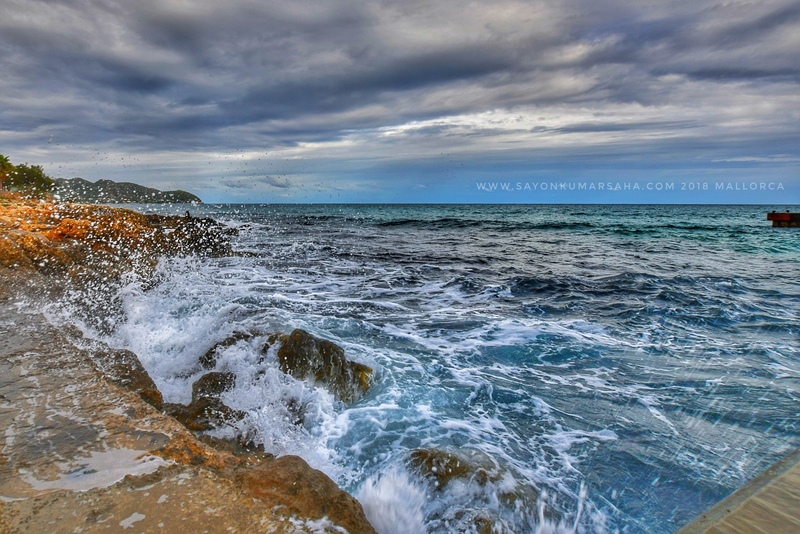 Cala Millor is also lined up with some beautiful cafes and bars. It is surprisingly cheap given that you can chill in those shacks with a coffee or beer with the beach view! I would highly recommend this place if you like to spend some chill time with your friends and family in Mallorca. That night we went out for dinner at Celler Sa Premsa, a restaurant recommended by our colleague. And it was totally worth it. The vintage Spanish ambience with amazing cuisine got us all. This was the place I tried Black Paella for the first time and it was a very rich experience. Spanish Paella is basically sticky rice with seafood such as cuttlefish & squid. 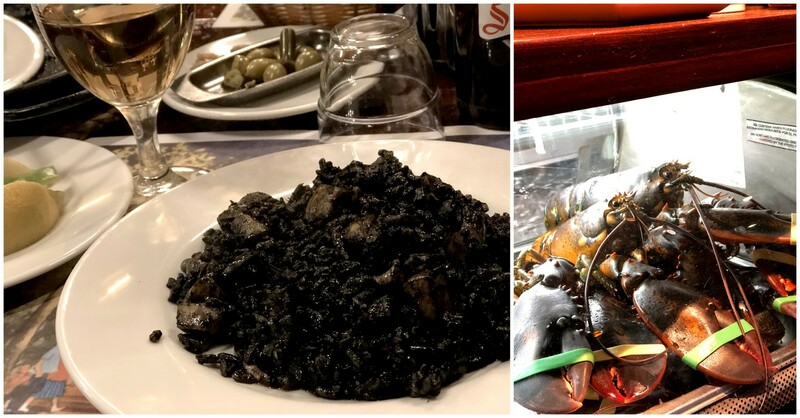 However Black Paella (Paella Negra) is specifically of the unique dark colour. Because of the black squid ink that makes it stickier and tastier! Get ready to not only have your lips and tongue black, but also the next day you would continue with the colour while you are finished doing your business! 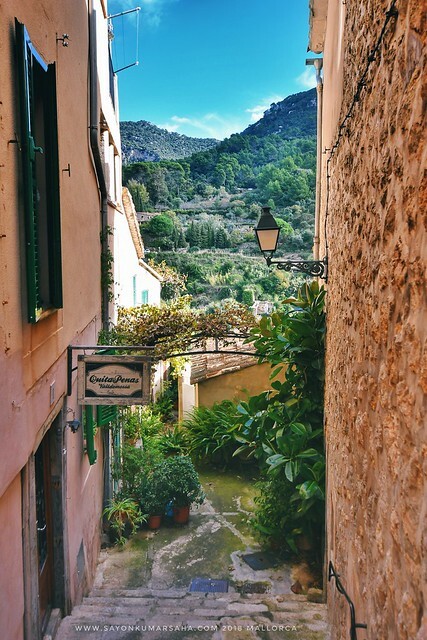 🇪🇸 Weekend drive to Valldemossa: The old-world charm rural town in the valley of west Mallorca! 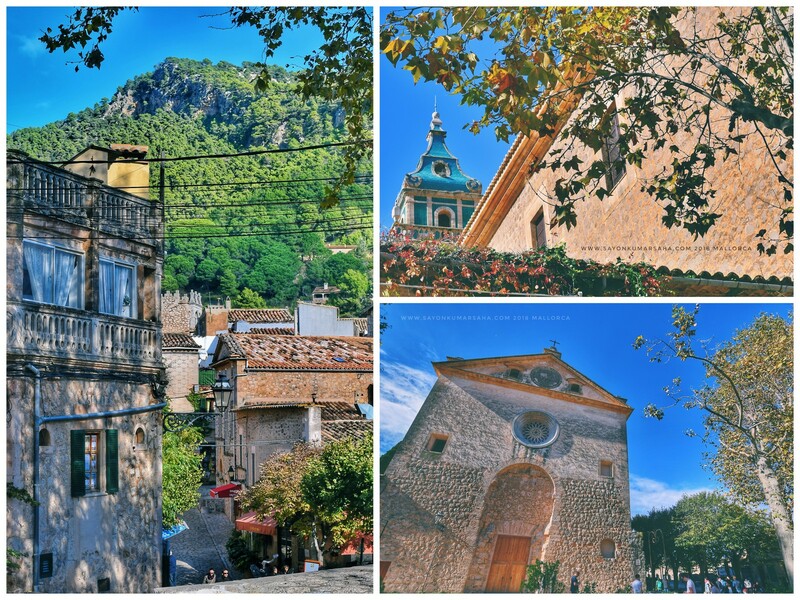 On Saturday morning we were driving to pretty rural town of Valldemossa in the mountains of west Mallorca. 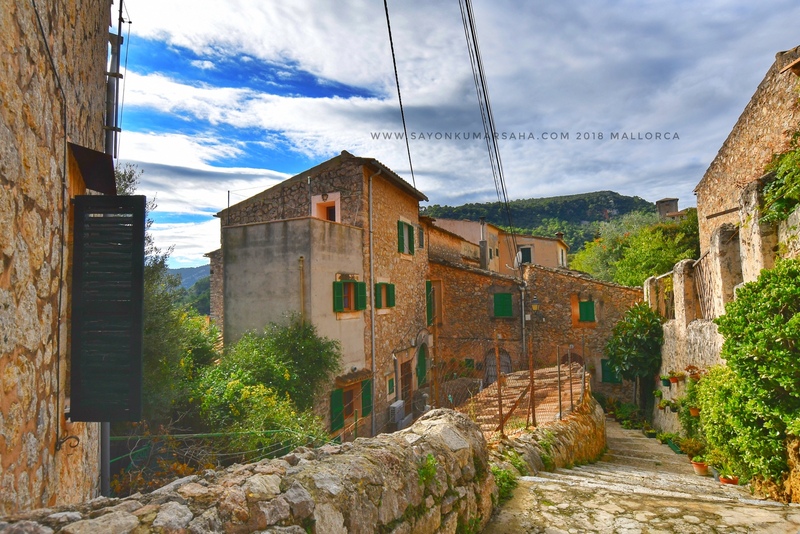 Its a nice 15-20km drive into the Tramuntana mountains that feels like a world away from the capital. Doorways in these streets are uniquely lined with beautiful plants and flowers! Real Cartuja in Valdemossa is the Royal Carthusian Monastery where Chopin and George Sand once spent a winter. 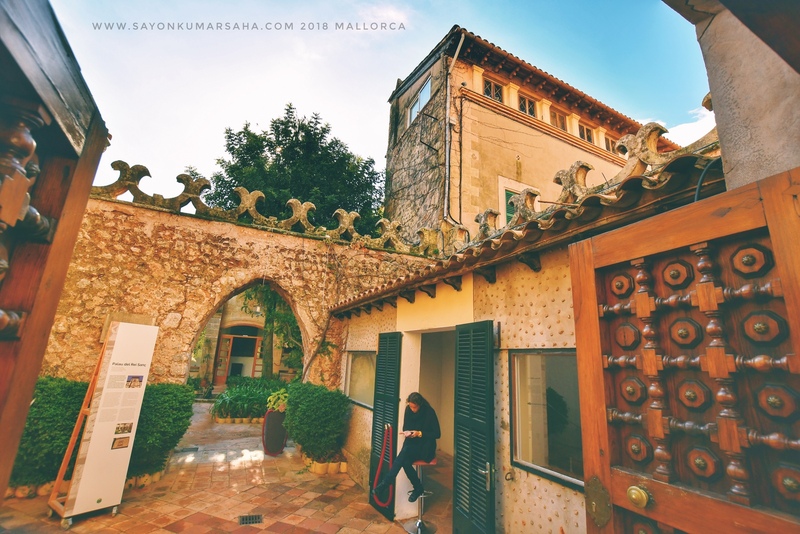 It probably has even more visitors than any other building in Mallorca, apart from Palma’s cathedral, La Seu. A ticket for the Real Cartuja also includes a short Chopin piano recital. 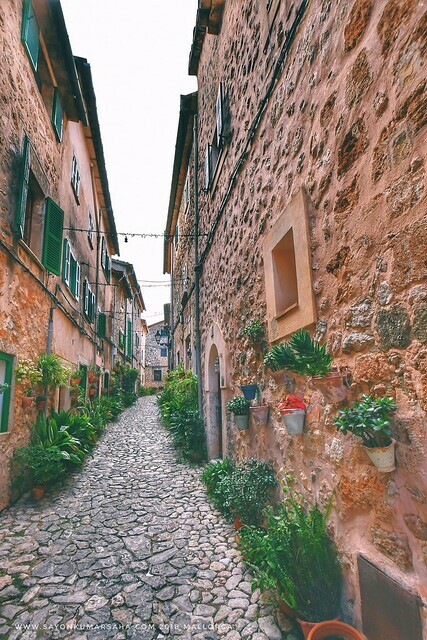 It is a treat to walk along the car-free cobbled alleys and rich cultural heritage of the town. 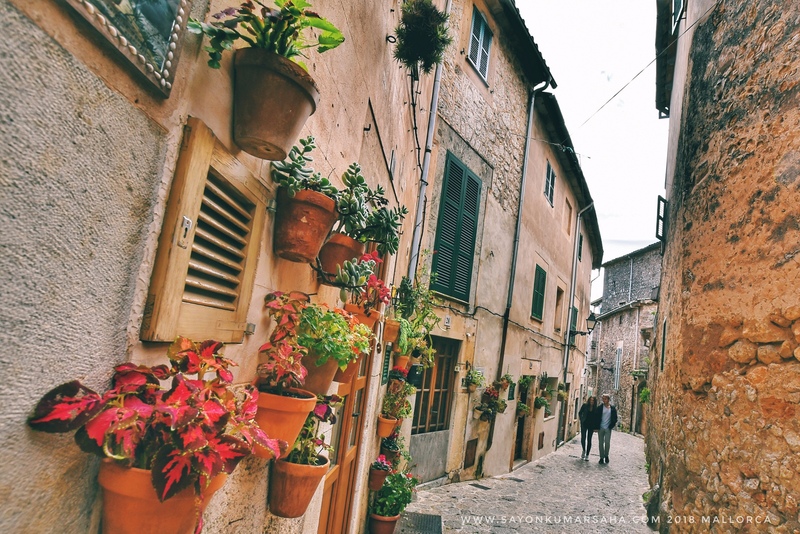 The picturesque streets are sprinkled with shops, art galleries, cafes and restaurants. I didn’t have the chance to try but Cocas de Potatas are Valldemossa’s famous biscuits found in every bakery. 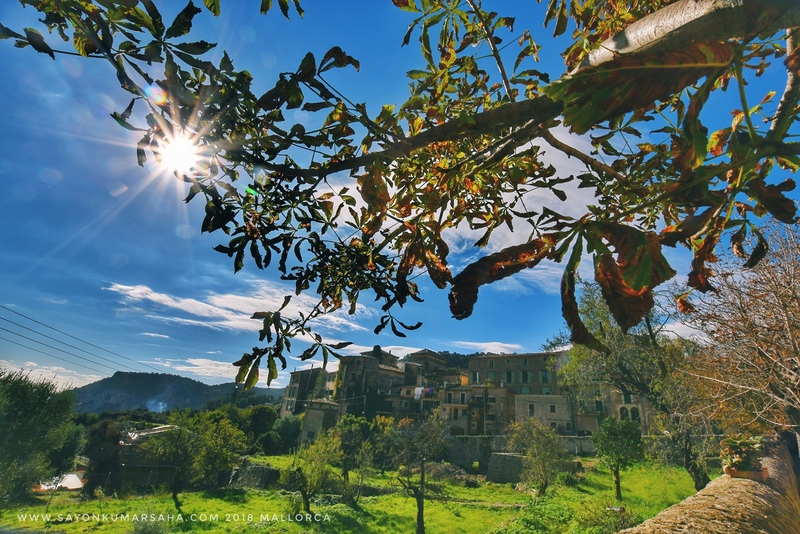 It’s the kind of place you want to sit back and soak up the scenery with a warm drink in the winter or a cold glass of wine in summer. We had some really nice local food from this catering at Soller called Ainere Catering! 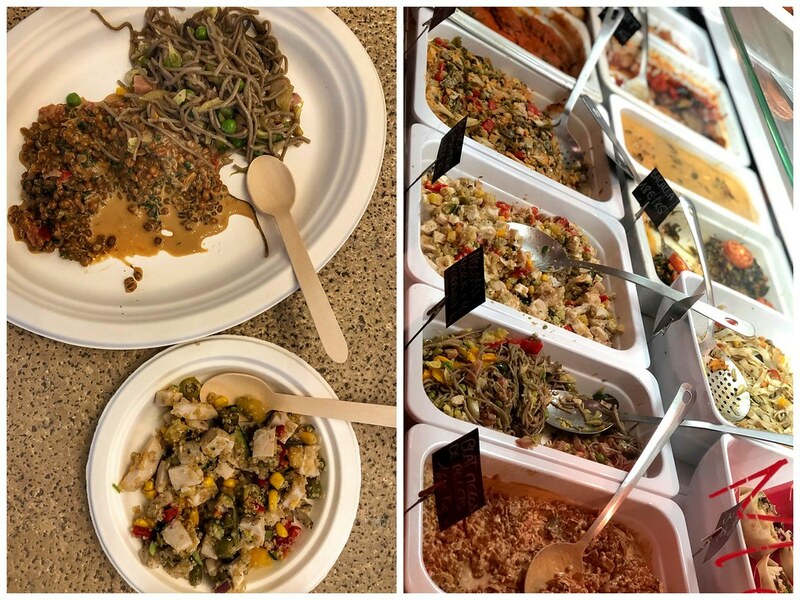 In the picture above you could see Quinoa Pollastre, Noodles York Verdulla, and Beat Melos de Bolets! 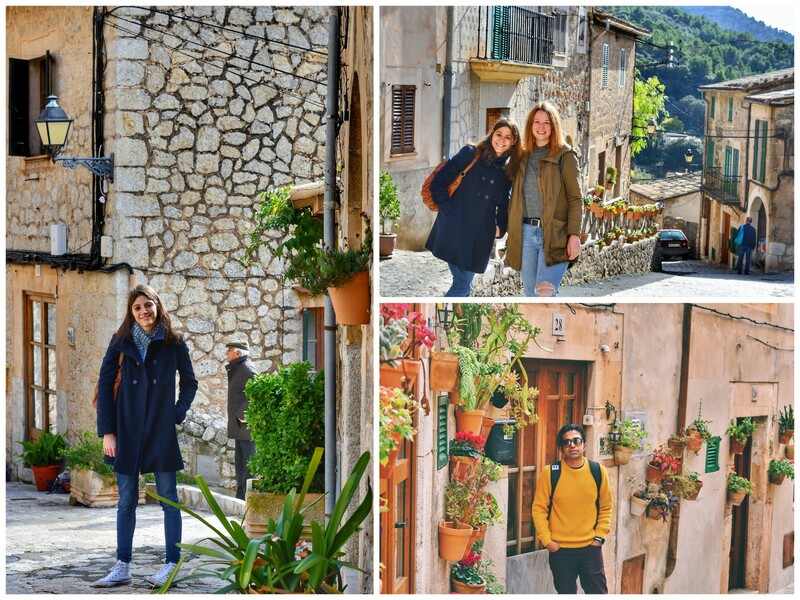 We drove further north at lunch to the village of Sóller, known to be a typical old Mediterranean town set in the lush valley of orange groves between the mountains and the sea. Most of the time we spent here was about experiencing the lively Saturday market by the street-side! 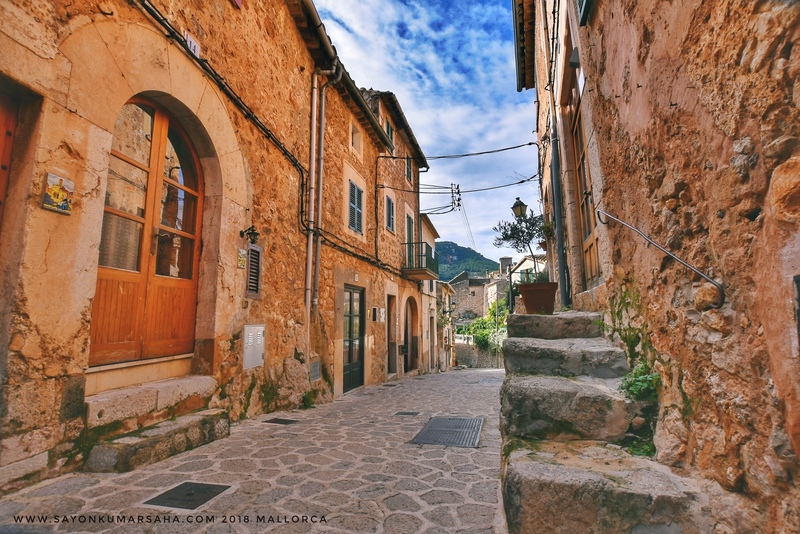 This area comes absolutely alive on Saturdays with the local Mallorcan market takes place. In the picture from left to right: 🇪🇸 Handcrafted jewellery ❤️, Overdose of Spanish Olives 🥗 and 🐝 Beehives and Honey 🍯!!! 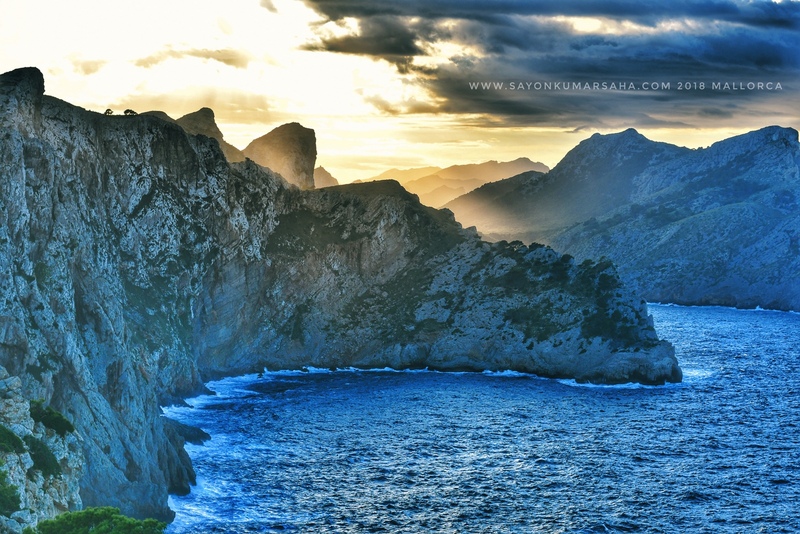 Later that afternoon we started our drive towards my favourite spot of Cap de Formentor. It was almost another 80km from Soller. We had some mesmerising views on our way. 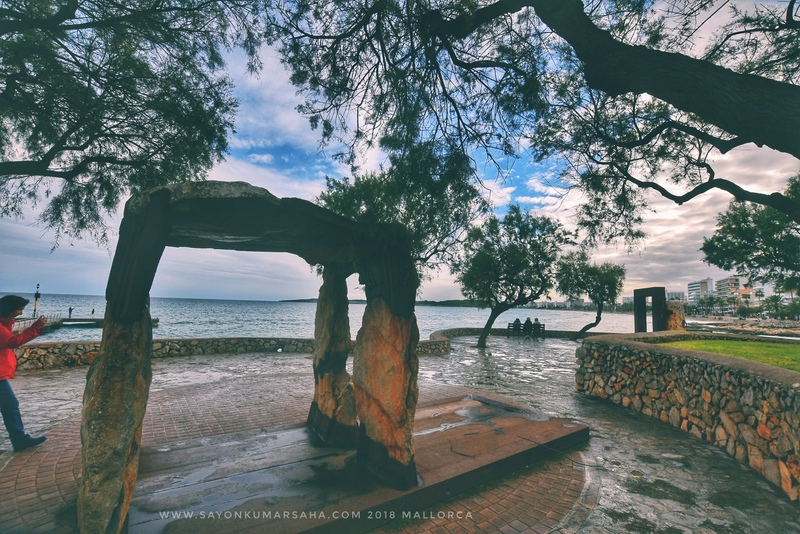 This is the wild peninsula on Mallorca’s northeast tip with stunning views and sandy beaches where Serra de Tramuntana mountain range meets the Mediterranean! The weather was not warm enough to visit the beaches, but definitely good enough for a nice drive to experience the sunset. One can also reach here by boat but we chose the more common experience of driving that was also exciting enough!. 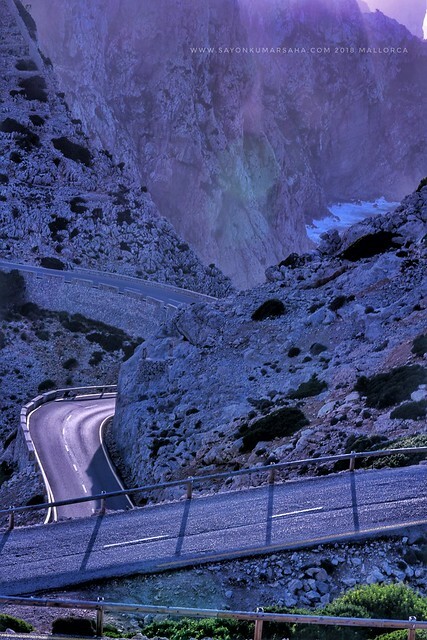 The 20-km drive from Port de Pollenca to Mallorca’s most northerly point has scenery as dramatic as anyone could wish for. We passed through the long tunnel of En Fumat mountain, where one could look down over Mallorca’s most inaccessible beach. The drive might be a bit scary to have always mediterranean on one side and rocks on the other. But it is definitely an experience with jaw-dropping scenery. The cliffs here are as high as 400 metres jutting right into the Mediterranean sea with their weird rock formations and pine trees growing out of the rocks. The swirling roads between mountain cliffs and the sea road continues through pine woods and pasts one view points after the other. 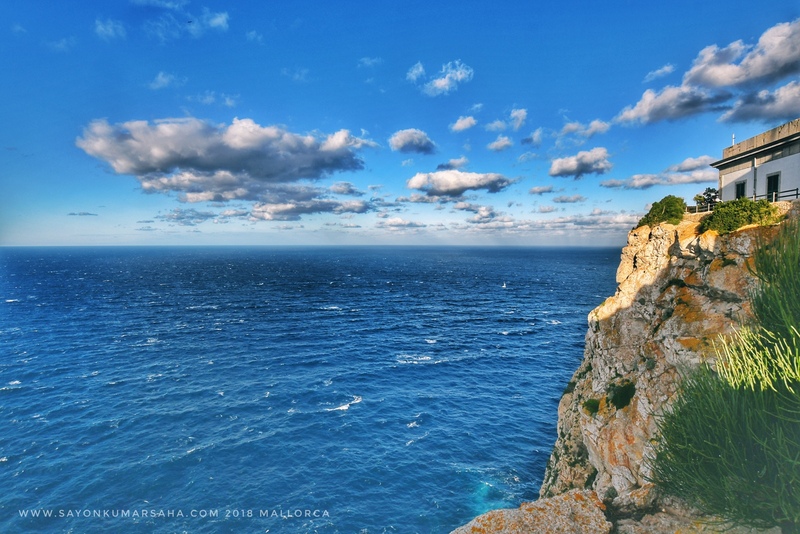 Once we arrived the spot, the windswept lighthouse stood high overlooking the sea to the cliffs where Eleonora’s falcons nest in the winter. You could easily spend some quiet time up here soaking into the vastness of the mountain and the sea where the winds meet! 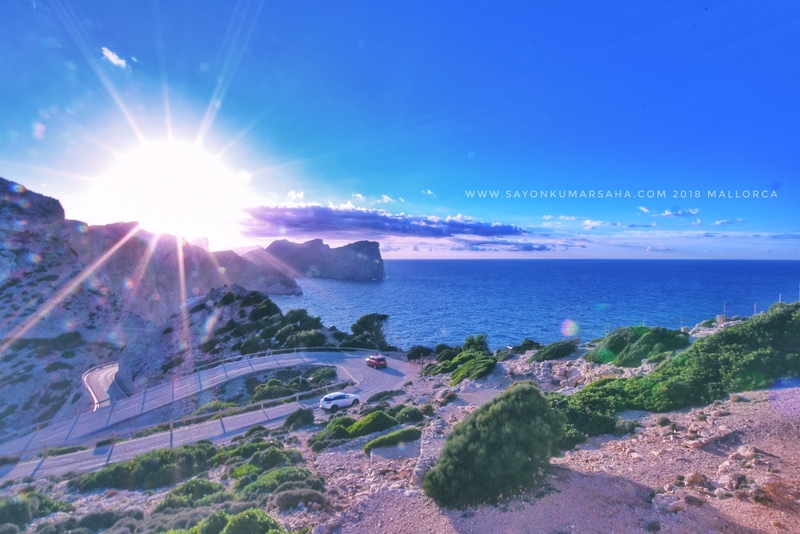 Take care that in high season the road to the Cap de Formentor could be too busy and the parking at the top of the lighthouse might not be enough making it not such a pleasant experience. For us, it was perfectly fine. 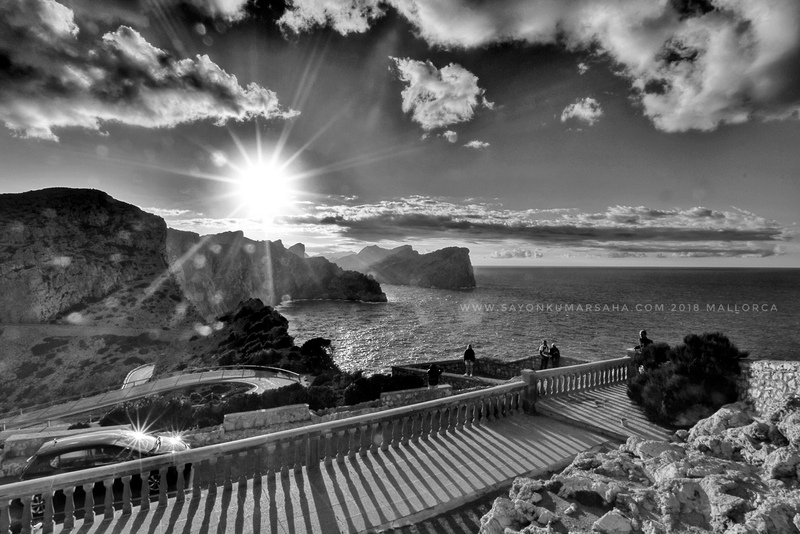 I would highly recommend having the drive about 2 hours before sunset watch the sunset at Platja Formentor. It is mesmerising. But after spending some half-an-hour, its worth to already start driving back some minutes before sunset to avoid the heavy traffic! That Saturday night we also explored the Palma nightlife. 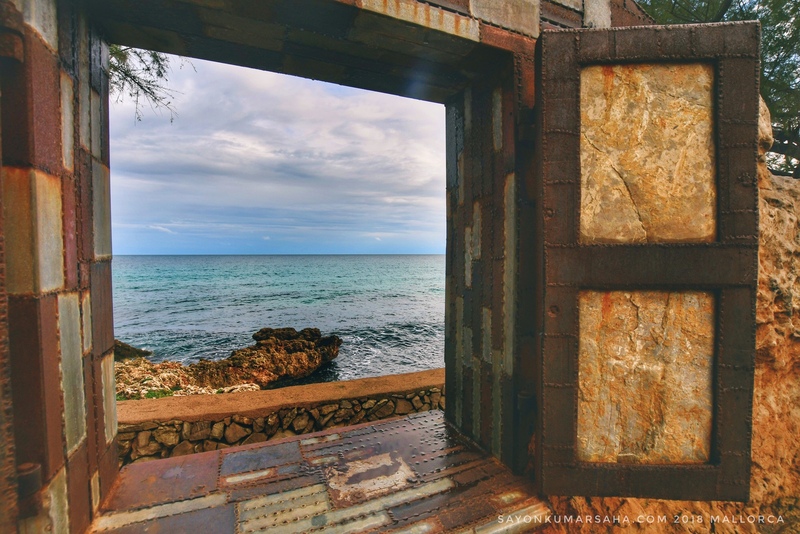 Being rainy on most of the evenings before, Saturday was perfect to visit Santa Catalini. Having already completed our gastronomic journey, it was time to hit the bars. 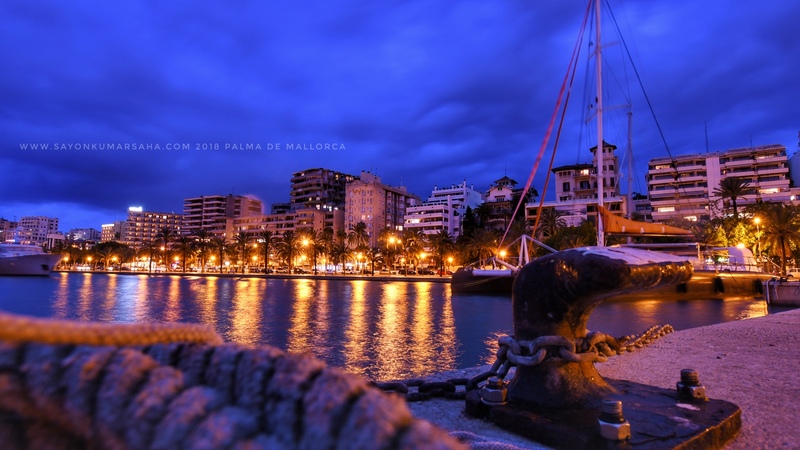 Palma as hyped, proved out to have a very vibrant nightlife. True that most of them don’t get animated before midnight, but its worth it when they do. If you would like to explore, we went past several jazz clubs, theatres and comedy clubs that were pretty active already from 9 in the evening. The streets of Santa Catalini had bars which are perfect to have some cocktails on the cards before hitting the dance floor. Most bars here have very friendly, open and international people around. Later for clubbing, I would recommend Bar Sabotage to be a very good one among many at Palma. 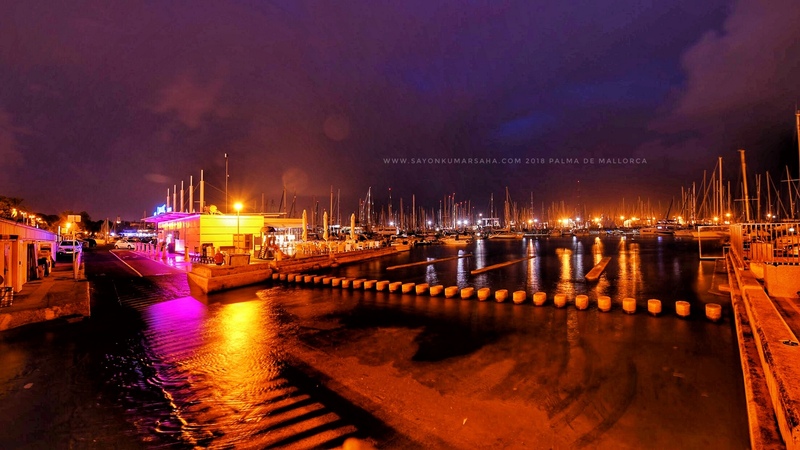 Of other recommended clubs by people around Palma would be Kaelum Club, La Demence and Tito’s International! 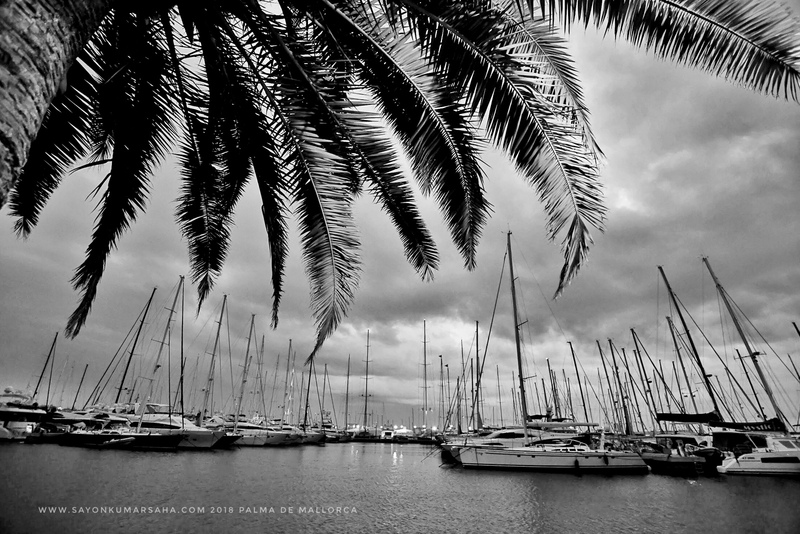 We decided to spend sunny Sunday in Palma itself. 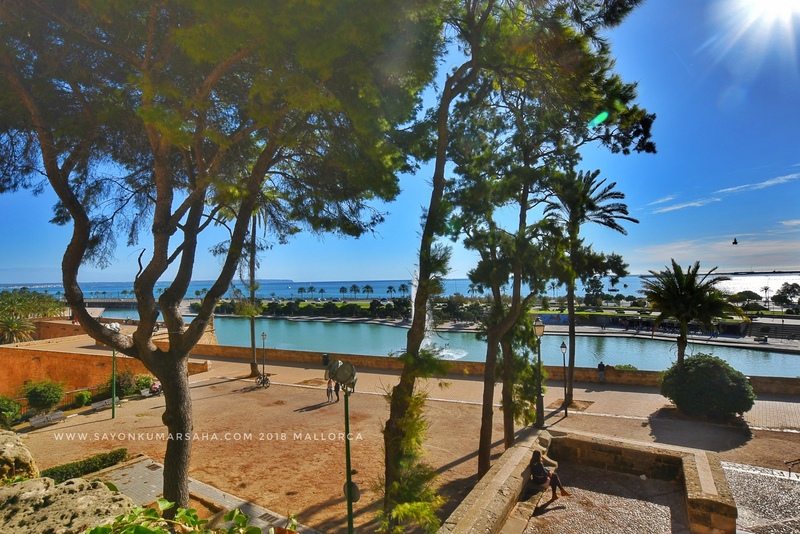 Palma is island city that is very rich in culture, entertainment and gastronomy. 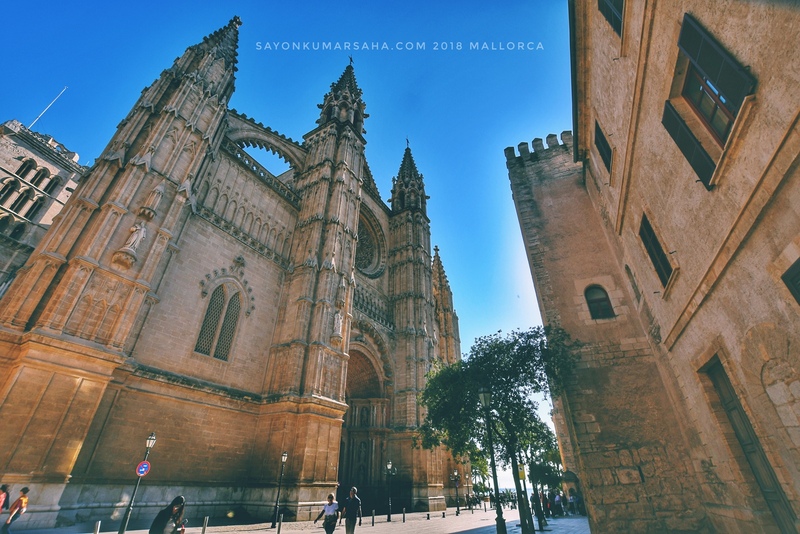 The magnificent 14th century cathedral of La Seu and stands large and tall at the heart of Mallorca’s capital. Also it was super interesting to find the number of Germans and the influence of German language next to Spanish and English in this island. 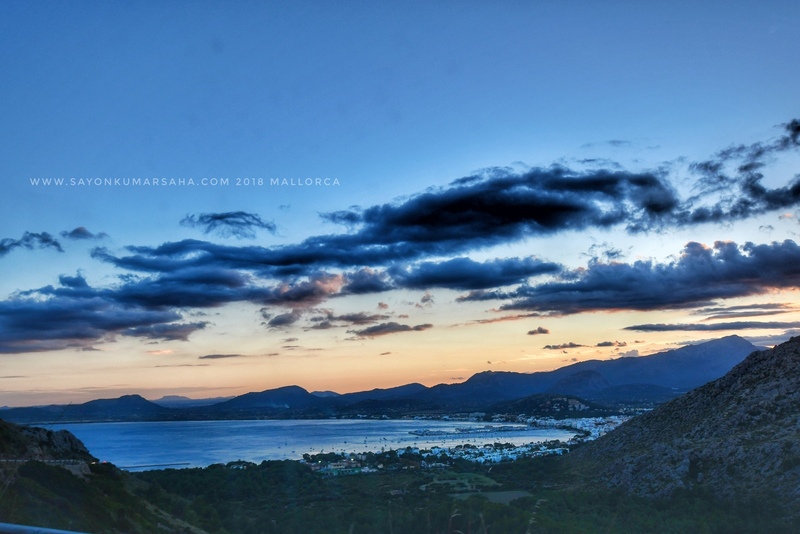 No wonder Germans consider Mallorca to be their 17th state! 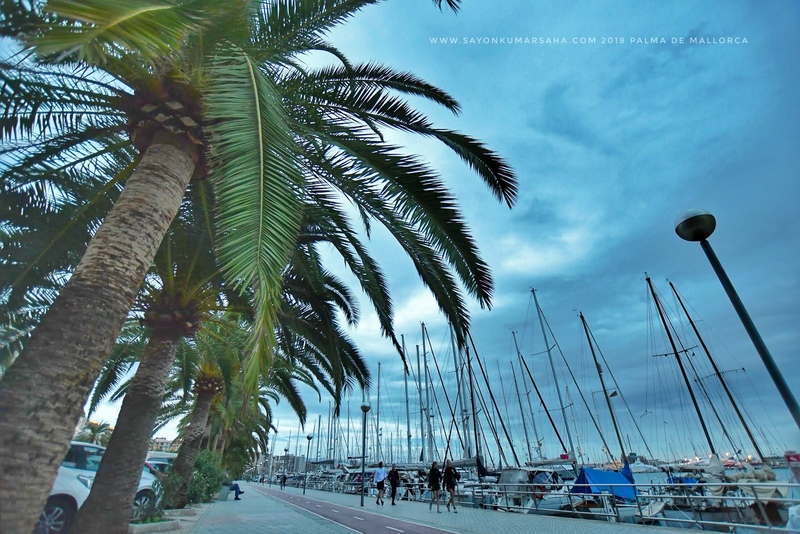 We walked around the city and its whirlwind of varieties and the mood of relaxation. Time slows down as you enjoy a relaxing brunch in the charming street of brightly coloured facades. 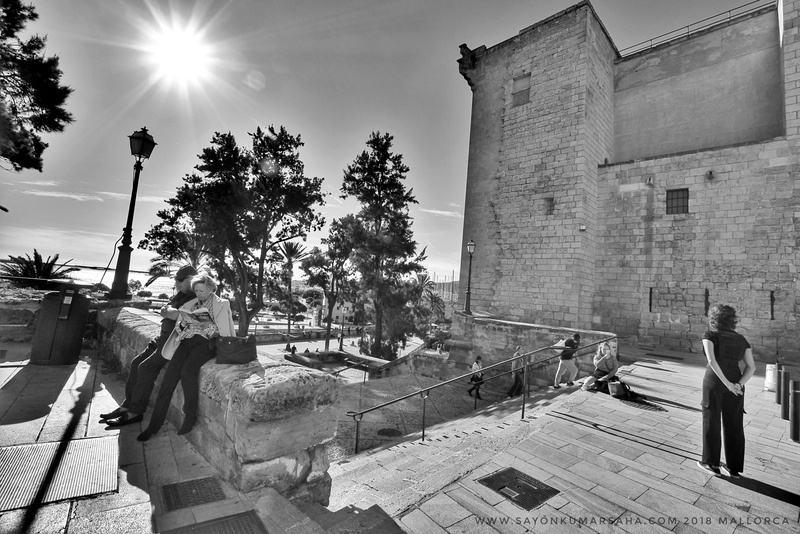 Its easy to see stories weaving around you in this beautiful island city of Palma De Mallorca. 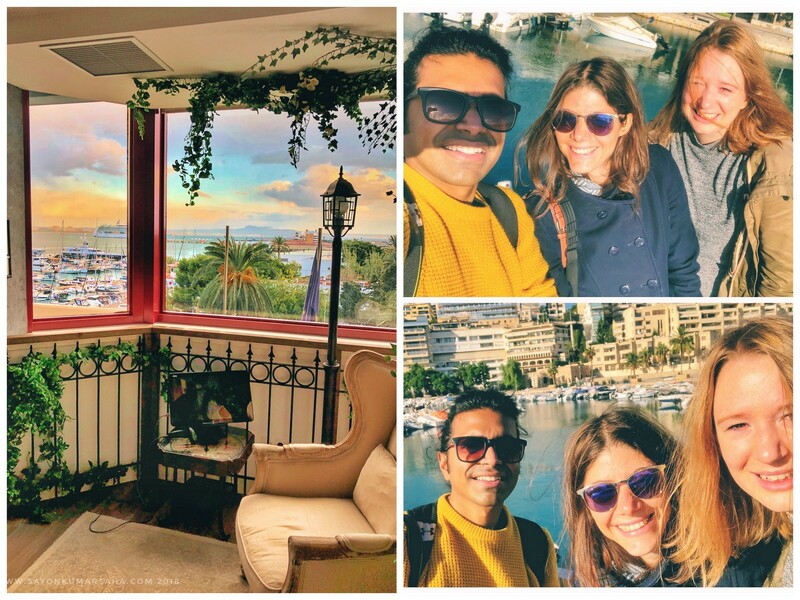 Last but not the least, thanks trivago for this wonderful experience of Working In to meet so many Palma colleagues and to explore the island on a photography-spree! Previous PostDüsseldorf Durga Puja: Germany, 2018!